Snowy Wings Publishing, 9781946202819, 358pp. Ciaan Gennett isn't green, despite the brand of light hair that betrays her heritage: an Earth mother. A mother she remembers but doesn't know, who left one day and never came back. Ciaan's as metal as her home planet--cold and hard and full of so many cracks she's trying to ignore that she doesn't have time to wonder about questions that don't get answers. After one too many run-ins with the law, Ciaan finds herself sentenced to probation at a port facility and given an ultimatum: Prove that your potential is worth believing in. With help from her best friend Tidoris, Ciaan stays away from trouble--and trouble stays away from her. 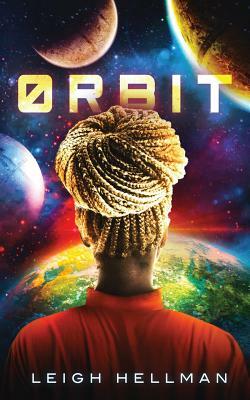 But when a routine refueling turns into a revelation, Ciaan and Tidoris find themselves forced into an alliance with an Earth captain of questionable morality and his stoic, artificially-grown first officer. Their escalating resistance against bureaucratic cover-ups begins unraveling a history of human monstrosity and an ugly truth that Ciaan isn't so sure she wants to discover. Now they all must decide how far they are willing to dig into humanity's dark desperation--and what they are willing to do about what digs back.